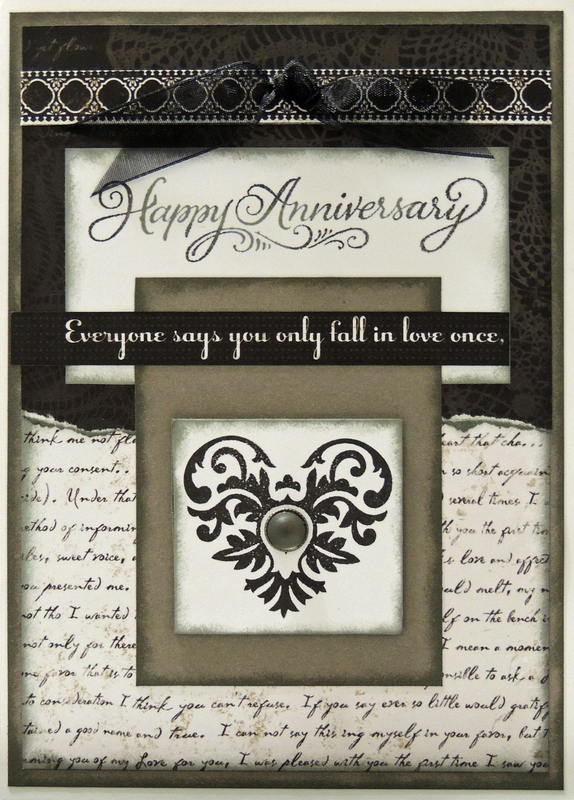 I really loved this paper collection “For Always” from CTMH and thought it would make a great Anniversary card for my husband Tim. 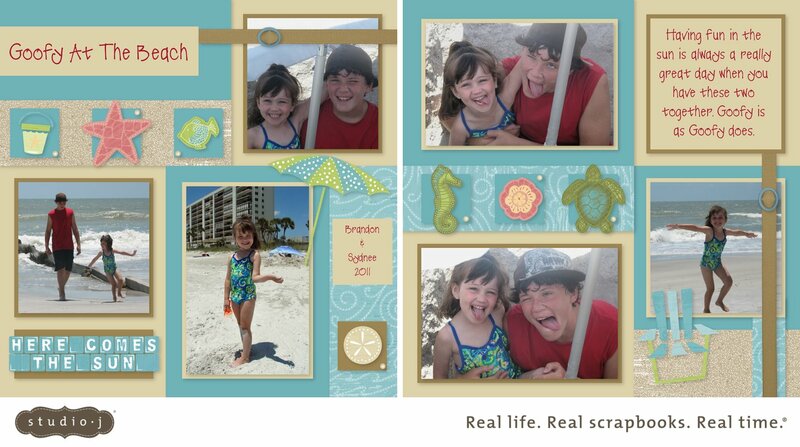 They may be years apart in age, but little is different between them when it comes to enjoying a day at the beach. Sydnee and Brandon are always goofing around making silly faces all the time. It is hard sometimes to get a picture that doesn’t have something goofy going on in it. I guess you could say Goofy Is As Goofy Does. From Wisconsin and Georgia brother and sister would visit together in Alabama. Austin lives in Wisconsin and Kira lives in Georgia. Little did the know when asked to bring something nice to wear for a photo session together, that they would both pick the same color combination. Grandma was so excited when they both came out from dressing for the photo session. 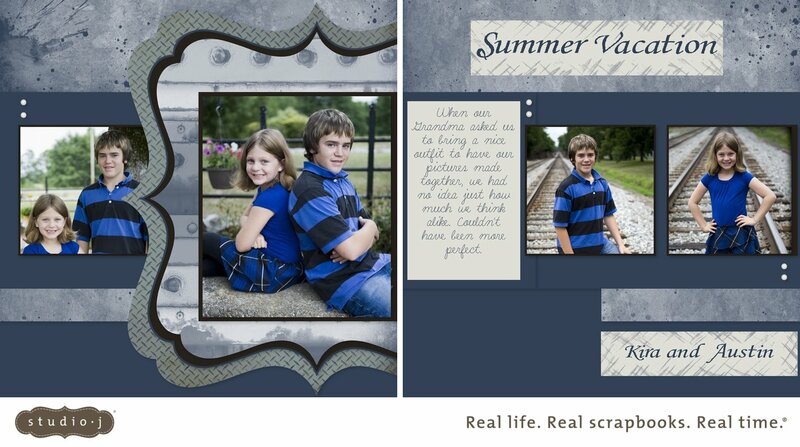 She knew that it would make an awesome 2 page layout from Studio J. They both looked so nice and now have that memory to keep with them for years to come.